Nobody’s actually gone or leaving; I just hum that song in my head every time I look at these pictures because of the colors. I love Christmas sessions that break out of the mold of typical red and green themes. When my friend linked me up to these cute blue dresses she bought for her daughters, I knew exactly what we were going to do for the upcoming holiday shoot. 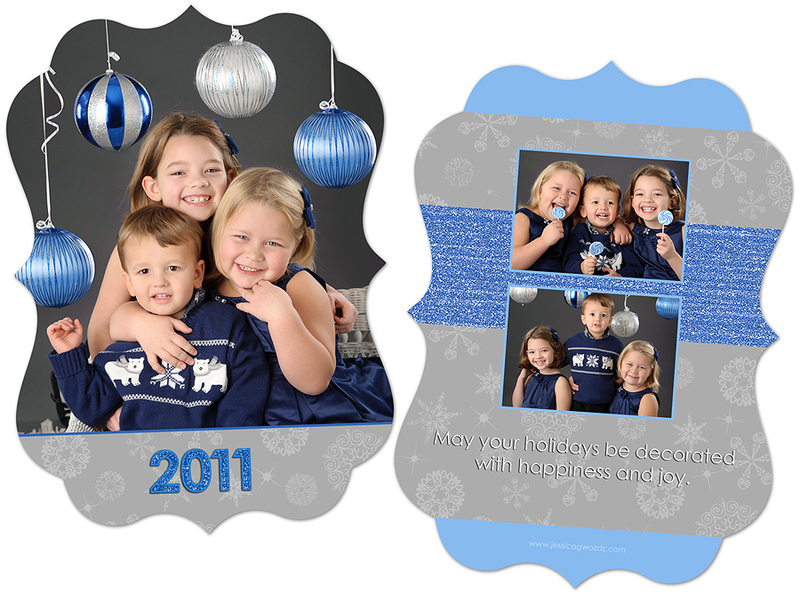 The blue and silver was such a nice combo and they ended up doing a die-cut holiday card that was just oh-so-cute! Sabrina - Can I say I just LOVE this! Love the ornaments! Love all the blue sparkle. Love the lollipops! Absolutely LOVE it all!